Packed house for Saturday's 9am class. Tommy at the bottom of his squat clean. 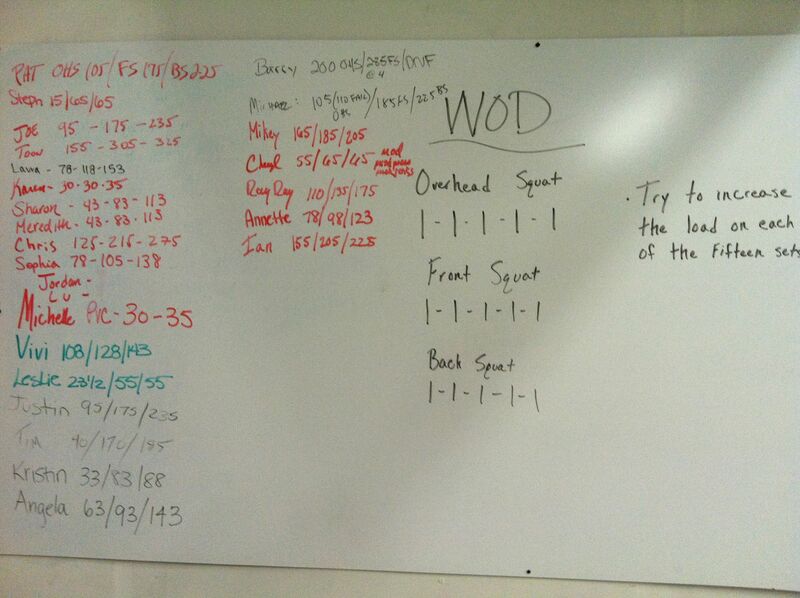 Sunday's partner wod started off with 100 calorie row. Scott working through his barbell lunges.